Gramona is one of the famous, high quality cava producer of Catalonia. The estate is based in San Sadurni d’Anoia (the same as Freixenet). The range is quite complex. At the top, you will find Argent, a vintage cava which is produced from Chardonnay. Follows Celler Battle (available in Finland), a superb wine ; IIILustros and then Imperial. The last three are based on a blend of Xarel-lo and Maccabeo, which are the traditional grapes of spanish cava. Their main difference is the ageing time in bottle on lees (7, 5 and 3-4) and the selection of the grapes. All of them are vintage wines. Then you will find 5 more standard wines, without vintage indications. One of the characteristics of Gramona is the style, a distinct oxidative style : it means that you will find nuts, honey and some stone fruits, these wines will be better suited to accompany a dinner. 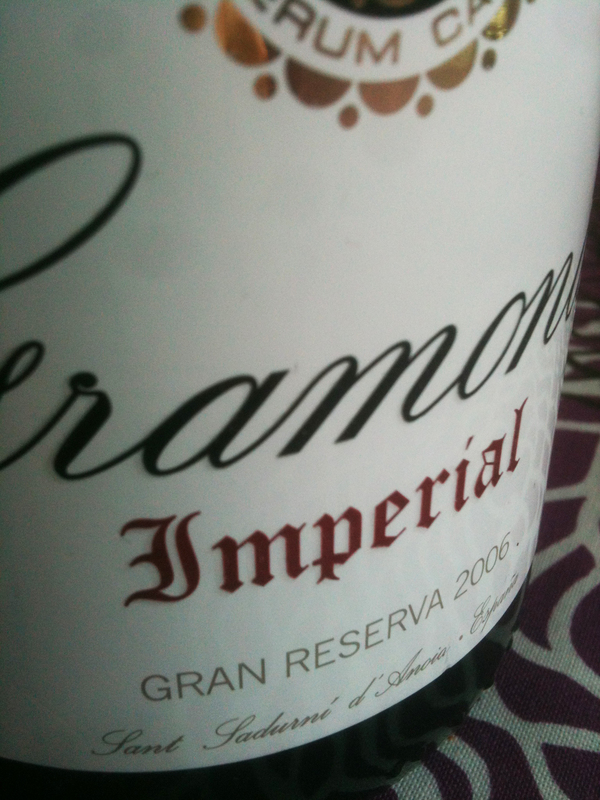 Imperial Gran Reserva 2006 is a very nice wine. The aromatics is complex and expressive. The palate is balanced with a long finnish. But this is really oxidative. Biscuits, nuts, honey (indeed) and some sweetness brought by the liqueur (a little bit too much), makes it a powerful wine which will require a proper wine pairing. This is not to be drank alone as aperitive. Aim rather at poultry or a nice cream-based meat dish. I would have expected more from this bottle, which is decent but not over the top. It will probably benefit from ageing a couple of years. This wine is only available in specific Alko shops like the one of Arkadia in Helsinki.